The $45 million Beaver Creek Clean River Project is a sewer facility that would sit largely underground near the Beaver Creek ravine in Lincoln Park, screening and treating combined sewer and storm water during high volume on the Beaver Creek trunk sewer. The project is part of the ongoing -- and large scale -- effort to reduce the flow of sewage into the Hudson River. It would also address a problem with the trunk sewer in the Beaver Creek ravine. Here's a lot more about the overall situation, along with some of the public skepticism that accompanied the announcement of the project. 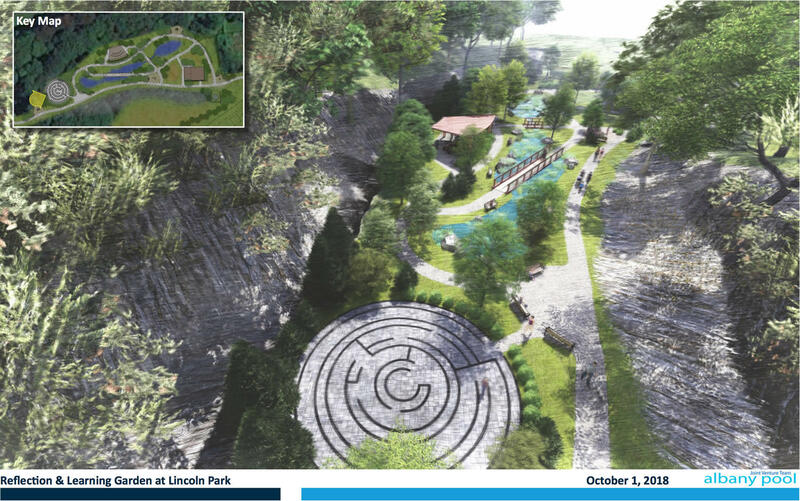 The city is also currently working with consultants to create an overall master plan for Lincoln Park. There's another public meeting -- a repeat of the October 9 meeting -- this Wednesday, November 14 from 5:30-7:30 pm at the Albany Housing Authority Atrium and Community Room (200 South Pearl Street). Then on December 4 there's another planned public meeting to present a handful of proposals.